The only information that Centre de Recherches sur la Cognition Animale – UMR 5169 obtains about a site user is that supplied voluntarily by the user. This means that you can visit the Centre de Recherches sur la Cognition Animale – UMR 5169 website without giving your identity or revealing any information about yourself. Some of the Centre de Recherches sur la Cognition Animale – UMR 5169 programs or services may request specific user information, such as name and email address, and the user may decide whether to voluntarily supply that information. Pursuant to law n° 78-17 “Informatique et Libertés”/Computer science and privacy rights, you have the right to access, rectify and delete information about you on this website. The Centre de Recherches sur la Cognition Animale – UMR 5169 makes every effort to ensure, but does not guarantee, the accuracy of the information on its website. Hyperlinks to other websites imply neither responsibility for, nor approval of, the information contained in those other websites on the part of Centre de Recherches sur la Cognition Animale – UMR 5169. This Centre de Recherches sur la Cognition Animale – UMR 5169 website is the exclusive property of Centre de Recherches sur la Cognition Animale – UMR 5169 and is protected by French and international intellectual property law. No reproduction or representation of this website may be carried out in breach of the rights of Centre de Recherches sur la Cognition Animale – UMR 5169, as derived from the above-mentioned legislation. The introduction of hypertext links by third parties towards pages or documents published on the Centre de Recherches sur la Cognition Animale – UMR 5169 website is allowed, provided that such links do not breach the rights of Centre de Recherches sur la Cognition Animale – UMR 5169 and that the user is able to identify the origin and author of the document. 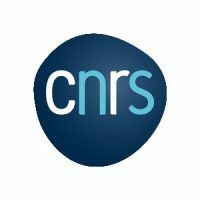 This website uses the “Kit Labos CNRS”.